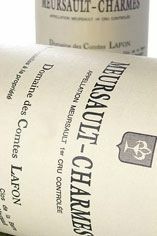 The Wine Advocate - Coming largely from 70-, 40- and 15-year old vines, and treated to around half new barrels, Lafons 2006 Meursault Charmes is both more open-knit and more overtly chalky and creamy than its stable mates, but displays notable polish and subtlety. Its nose of diverse citrus and pit fruits is tinged with notes of toast and vanilla. The finish here really Charms, enveloping and fanning out expansively, with no let up in sweetness of fruit or suggestions of crushed stone. Honestly, Lafon remarks, when you taste wine from the 70 year old vines before racking, its just so lean and so mineral that on its own its almost undrinkable, too tough and benefits from a portion of young vines which is always much more up-front. Expect this to be worth following for at least 8-10 years. The spicy, subtly bitter 2005 is polished and well-concentrated, but betrays extraneous hints of barrel and heat, and was outclassed by its siblings on both occasions when I tasted it. Burghound - This is quite a bit riper though there is no overt exoticism present with aromas of peach, spiced pear and apricot that merge into exceptionally rich and relatively big flavors blessed with ample amounts of palate coating dry extract that completely buffer the firm spine of ripe acidity and intense finishing minerality. This is balanced and driving with a linear finish that slowly fans out as it lingers. Superb. 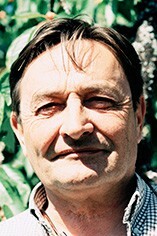 Jancis - Heady, dense, vibrant. Still very unevolved. Very long. A bit mealy. Long. Still very tense.